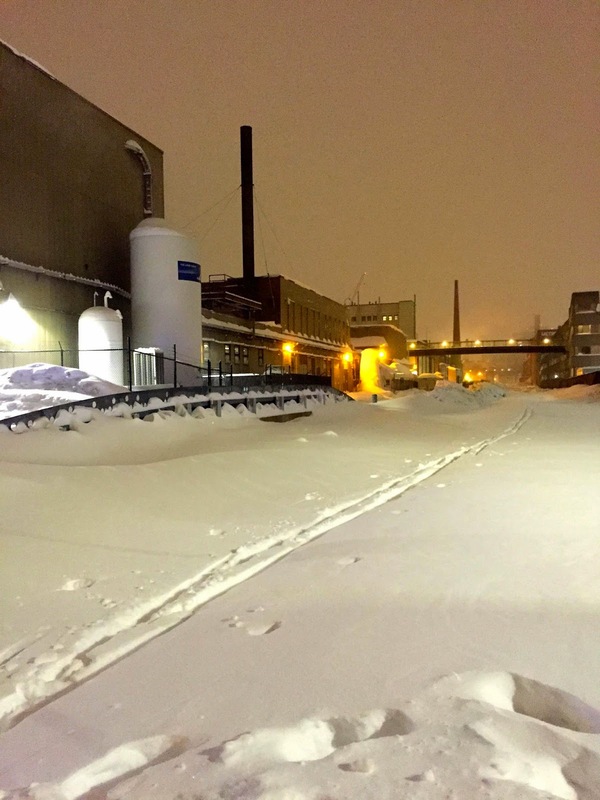 building beyond: Buried in snow, so where does it go? 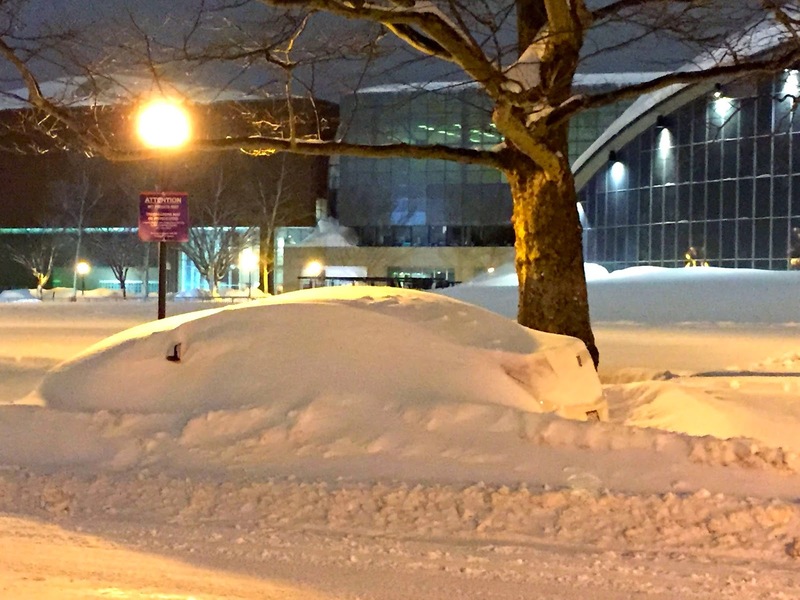 Buried in snow, so where does it go? Hello from the land of snow, snow, and more snow that is Boston, Massachusetts, USA. We've had the snowiest month ever (98.7" and counting), the second snowiest winter ever (see graphic), and more white stuff is on its way as we speak. Plus some rain and above-freezing temperatures tomorrow to throw some snow melt and ice in the wintry mix. Yes, that is actually a scalie ("silhouette" used in rendered images) of me. My entire M.Arch class was converted into scalies, and some of my classmates are featured here as well. Thankfully, not all of that snow has remained stationary to make such a towering wintery scenario reality. 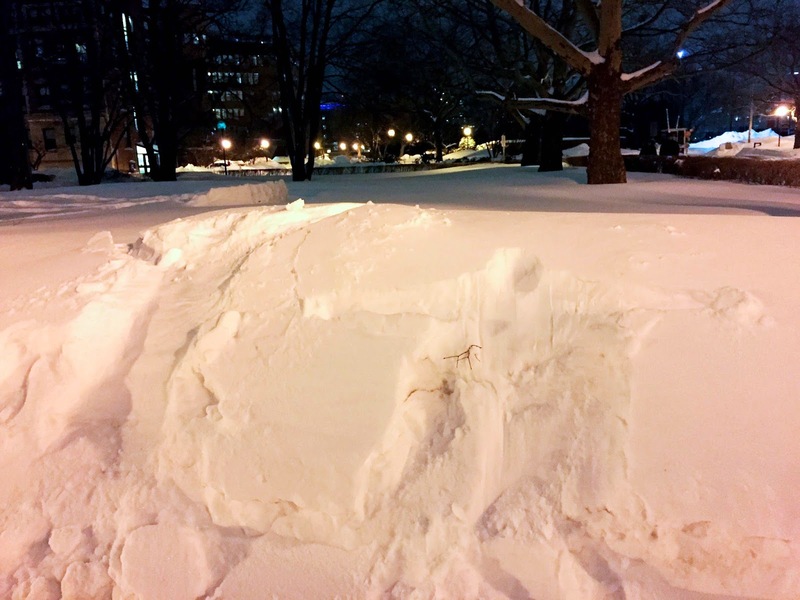 There is really more like a blanket of 3 feet of snow in all unplowed/shoveled areas, with towering piles in every imaginable place: along roadsides, on sidewalks, in turning lanes, swallowing parking meters, bicycles and all types of urban furniture -- even cars. Living in this environment is less idyllic than that image of walking in a winter wonderland. I am a bit isolated from some of the chaos that the rest of the city experiences. Given that I live on campus, I don't have to worry about shoveling or about the danger of ice dams and roof collapse. (Check out the link for the direct impact of snow on architecture.) We have a wonderful grounds crew working 24/7 to keep streets and pathways clear. The Tall Man and I also happen to have a dining hall in our dorm, and the Institute has made many efforts to keep it running even in the midst of blizzards and state emergencies. So all in all, I can't complain much! There's food, electricity, heat, and a walking-distance commute -- better than what many Boston residents have to deal with. Someone took the rare liberty of cross-country skiing along the buried train tracks. So the next question on my mind has been, where does the snow go? One of our dorm housemasters works for the EPA, and she confirmed that the city had gotten the go ahead to dump the snow in the city harbor. 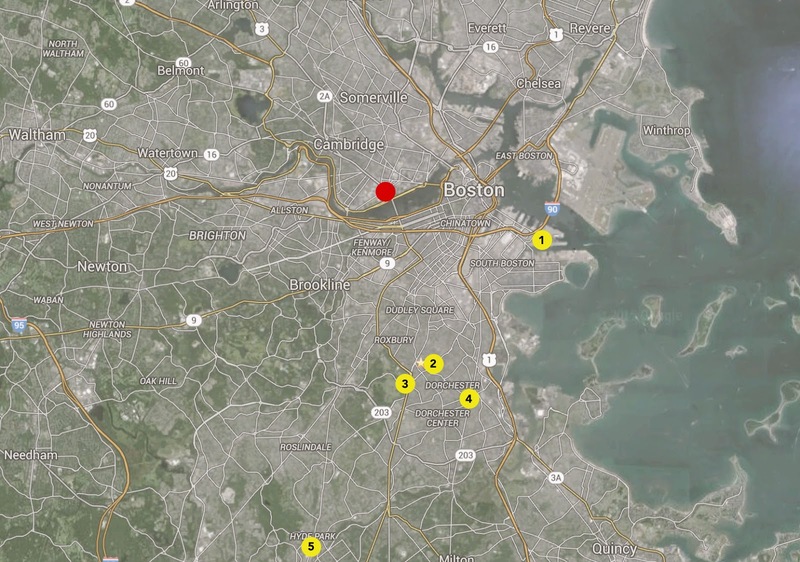 While there are environmental concerns about putting snow in bodies of water, some experts are largely prioritizing public safety, especially given that the Harbor's salt content would likely dilute the salt in the snow (~1%). As of now I couldn't find a confirmation that the city has, in fact, gone ahead with this plan (the idea was entertained as of February 9th), although surrounding towns and cities have been actively doing this in the past couple weeks. While the MIT-erhorn is an impressive mound, the vacant lot it sits on is not the largest farm in the city. The largest in the city is at 6 Tide Street in the Seaport District, adjacent to warehouses and docks for cruise ships. (Underlay from Google Maps, dated 2015 but I'm not certain when this image was taken. Most of the snow farms are scattered in industrial areas and areas with vacant lots, some in lower income areas. The 6 Tide Street location seems particularly positive, though, since it's not within a residential area and is less likely to disrupt daily life -- unlike the other locations. Warning: From here onward, after reading website after website and getting on a roll with making graphics, I started wondering about quantities and calculations that may or may not be relevant, but may be interesting musings. How many snow farms at the size of 6 Tide Street (176,000 square feet / 4 acres) would we need to capture all the snow that has fallen? I couldn't find the maximum amount of snow allowed on a site, but took the FAA regulation of 56 feet as an estimate. (Yes, there are problems with this assumption but entertain me for a moment.) 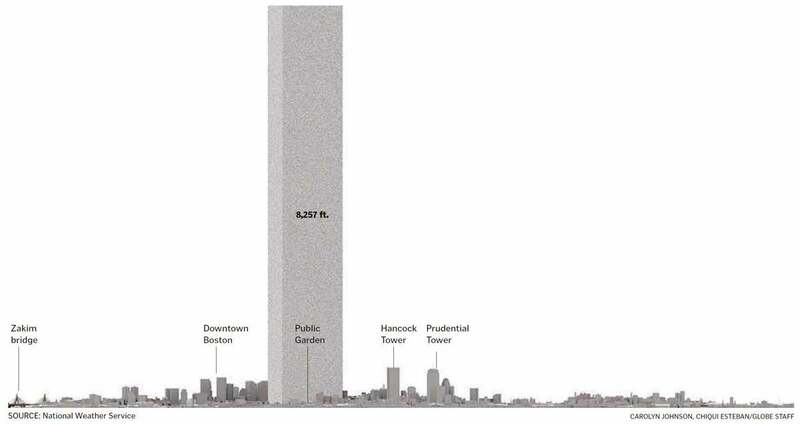 Assuming that a site of that size holds about 3.3 million cubic feet of snow (geometry of a rectangular pyramid! 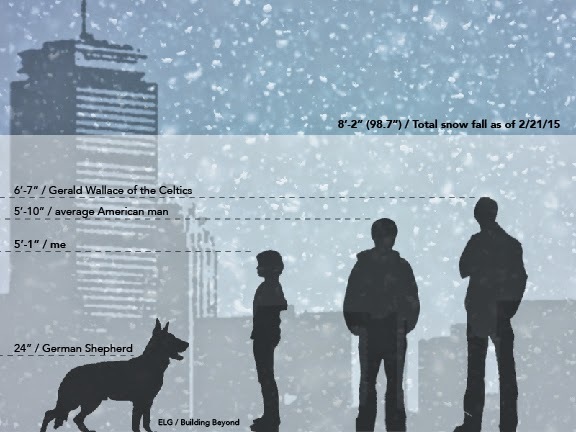 ), and given the 10.8 billion cubic feet of snow that have fallen on Boston, it would take almost 3,300 snow farms to hold it all. Thankfully, we don't have to move ALL of Boston's snow. (Well, not until the spring turns it into rain -- Noah's Ark and the flood, Part 2?) But it's still a costly business: $35 million and counting. And February isn't even over. While much of that money has gone towards plowing and shoveling, some of it also goes towards the use of snow melters, also known by its brand name the Snow Dragon (mythical in promise and proportion!). Each machine is equipped to handle 180 tons according to the company's site, and is the most recent advancement in terms of snow management. While the melters have the benefit of converting the white stuff into water, thus clearing the snow farms for more snow and allowing for incremental drainage, what's the cost -- in fuel? Both the melters and plows use diesel fuel, which is priced at $2.865/gallon as of February 16th. One 8-hour day of Snow Dragon operation costs between $11,000-$16,500, based on amount of fuel the machines use (240-360 gallons/hour). Over three weeks, the fuel simply to run these machines adds up to almost $350,000. And if 285,728 miles have been plowed, with plots going at the measly efficiency of 4 miles per gallon, over $200,000 have been spent on fuel. = Almost a half million dollars spent on fuel alone. By now my snowy armchair wanderings have worn a hole in the carpet and perhaps worn out even the most dedicated reader's patience. Thanks for your indulgence! I suppose this is typical of an MIT student, using a Saturday night to launch into dreamy, disjointed calculations as a form of procrastination. The Tall Man and my attempts at snow angels. Yup, that might just be a snow-covered hedge peeking out.